Jan van Roekel and I just arrived at Château Giscours, where we stay in “Ferme Suzanne”, a beautiful guest house from 1877 overlooking the newly trellised vines of this Dutch-owned Margaux cru classé. A fun fact from Benjamin Lewin MW’s great book “What Price Bordeaux?”: at the time the 1855 classification was drawn up Giscours was the most expensive 3rd growth, so it had almost become a 2nd growth... Well, that makes it probably more affordable now. I’m publishing this short posting while drinking a Château Duthil 2004, very pleasant supple Haut-Médoc (from the Giscours stable) that sets the right mood for this evening. And tomorrow it all starts: tastings, tastings, and more tastings. To give you an idea: we start at nine at Mouton, and then follow Pontet-Canet, Lynch-Bages, Lafite, Latour, and (after a lunch at Rauzan-Ségla), Margaux and Palmer. Plus we’ll taste Sauternes at Château Desmirail. And that’s only day 1, out of five. After this week I will summarize everything on this blog, but you can already follow our impressions almost real-time on Twitter. 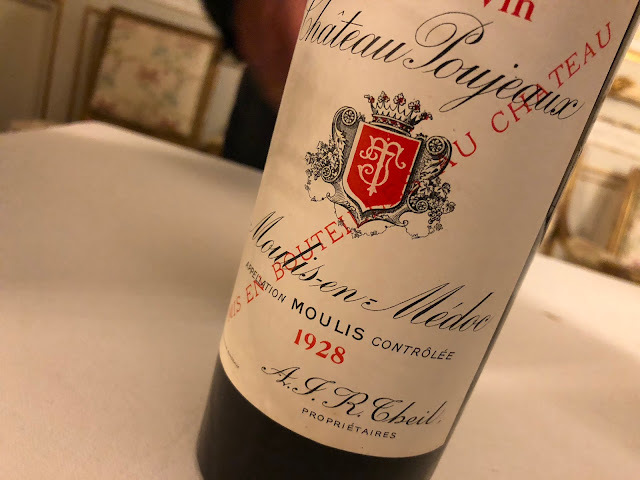 It struck me to see how much is already published about this young vintage, and that’s why I will try to restrict myself to the essence of the year. I hope I will succeed.